“Jacket of eagle skins. The large feathers are sheared so only the underneath down is left.” Stitching can be seen only on back side of the coat. Superb craftsmanship of fitting eagle skins together. Item IV. A. 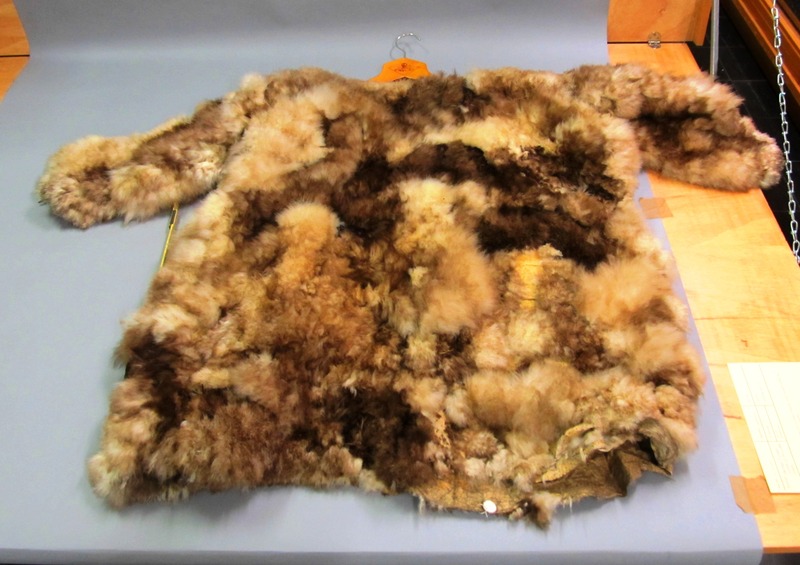 6258 is another Eagle feather coat, “Jacket of eagle skins.” I was unable to take photos of the item due to heavy contamination.